When people in Kenya have no work it means they starve, so they improvise. Every day they endeavour to raise enough money to get them through that day and then tomorrow they must start all over. One would therefore think they would be a morose people. Quite the opposite! They are a race who love life and how they love to laugh. 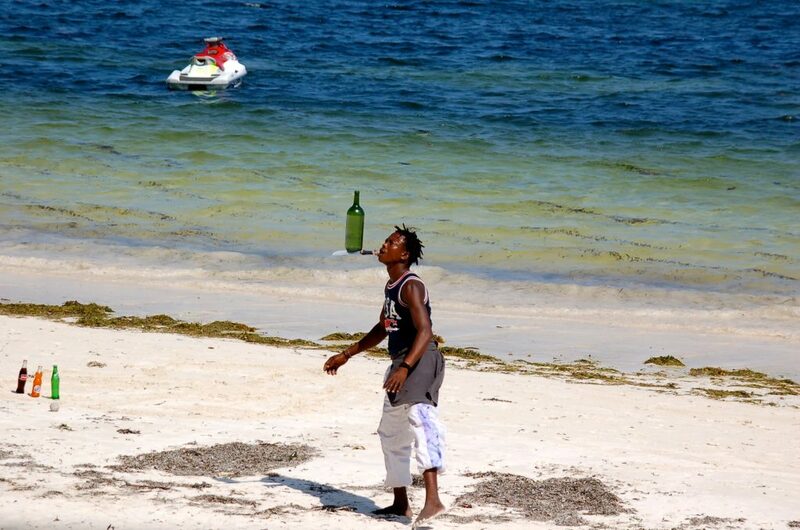 A Kenyan will delight in talking to visitors for hours on end to broaden their outlook with different cultures. They cannot afford to buy a daily newspaper and delight when one is given to them. They will read it from cover to cover. 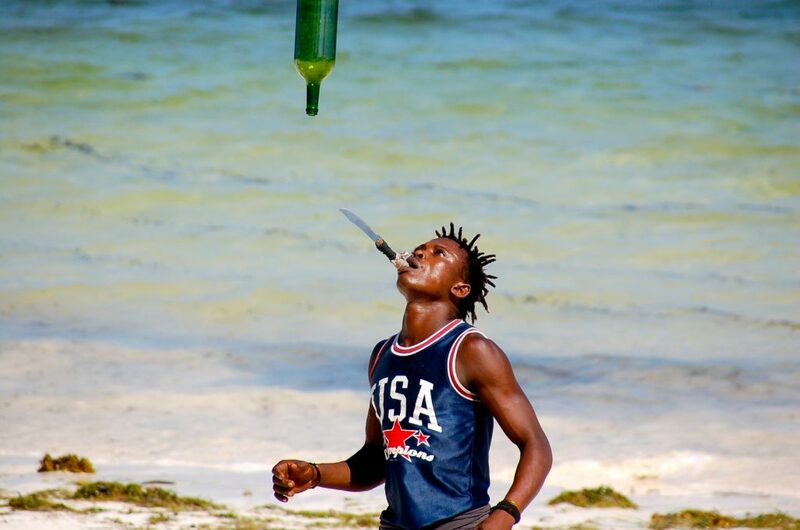 On the beach in Mombasa many performers and traders entertain daily. This young man had worked for many hours to perfect his act. He was amazing and would have been just as much at home on a Vegas stage as he was here. 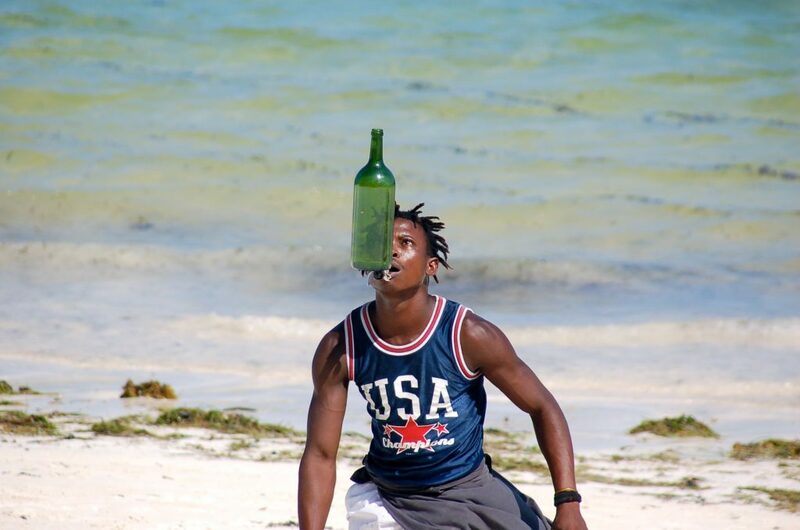 He would throw bottles in the air and catch them on a knife edge, YES THE KNIFE EDGE NOT THE FLAT OF THE BLADE, and balance them there while he gyrated around the sand, then to everyone’s amazement he would throw the bottle up from the knife edge and spinning around catch it again on the blade. His hope was a few shilling from the passing tourists.